It’s no secret that Brooke Henderson wants to catch Sandra Post for most wins by a Canadian on the LPGA Tour. Matching Post’s record at this week’s ANA Inspiration — where the Canadian golfing great won twice — would be Henderson’s ideal event to do it. Henderson, from Smiths Falls, and Hamilton’s Alena Sharp are the only Canadians in the field at the ANA, the first major of the LPGA Tour’s season, starting Thursday in Rancho Mirage, Calif. Post won the event in 1978 and 1979 when it was known as the Colgate-Dinah Shore Winner’s Circle. Post has eight career LPGA wins, one more than Henderson. “Tying Sandra would be amazing. I’m really looking forward to, and excited, that hopefully I will get this eighth win this year and to do it at a major would be incredible,” Henderson, 21, said. “Especially at ANA where she has won twice. As winner of the Women’s PGA Championship in 2016, Henderson qualified for the ANA Inspiration well before this season began. But her strong start to this year — three top-10 finishes and one top 15 — would also have qualified her. 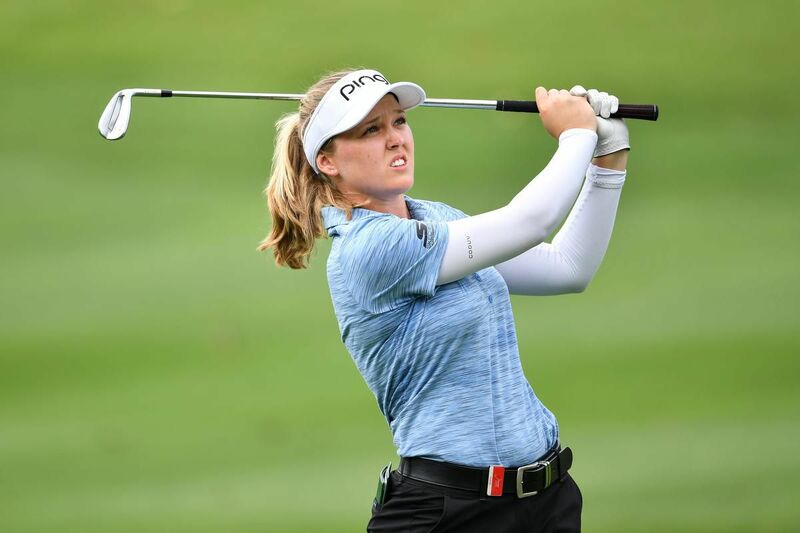 Sharp qualified as one of the top 20 players on the LPGA’s 2019 money list not already in the field. “I’m really happy with my start to the season,” said Henderson. “I feel like I have been in contention a little bit, I’ve felt the competitive juices flowing. It’s been fun, for sure. Another highlight of Henderson’s season has been her prominent role in the LPGA’s Drive On campaign. In the campaign’s 45-second introductory video released on March 20, Henderson is seen practising at a driving range and she is the first of several golfers to do a voice-over encouraging girls to overcome adversity and be true to themselves. “It was pretty amazing to be a part of a film like that, that is so powerful and has so much meaning behind it,” said Henderson. “I didn’t really realize I was going to be one of the biggest people to kick-start it, but definitely an honour.